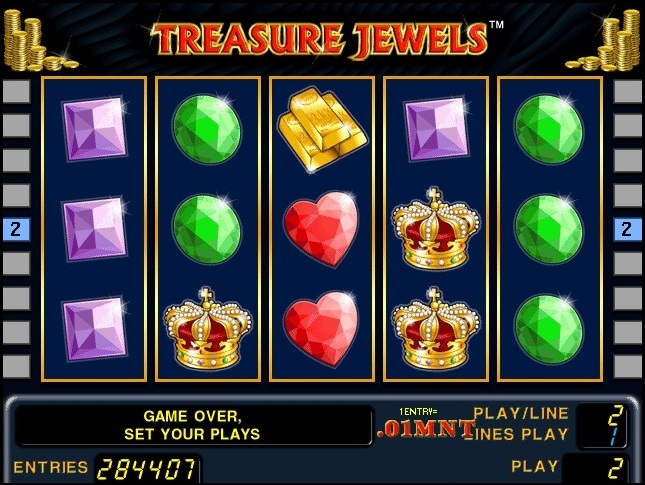 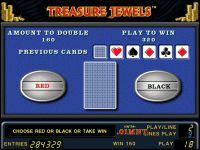 Treasure jewels game is nine line five reel video slot with the possibility of doubling the risk of winning the game. 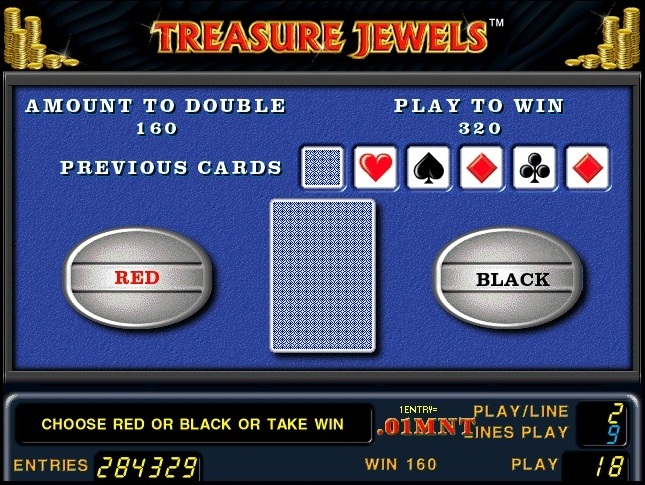 Minimum rate - 1 Bet Max - 900 The main difference from other slot machines is the location of symbols in winning combinations, that is considered to be a winning combination of 3 identical symbols on an active pay line, but not necessarily pressed to the left. 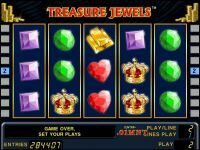 At loss of character "Chest" in a winning combination winning randomly multiplied by 1, 5 or 7.